Penplusbytes, a non-profit organisation committed to enhancing governance by deepening citizens’ participation through ICTs and BloggingGhana, a membership-based grass-roots social media organisation, have expressed deep concern over the proposal of the Inspector General of Police (IGP), John Kudalor to shut down social media platforms on election day in November. “We share in the IGP’s sentiments about the excesses and security concerns that might come with the use of social media. However, a ban on social media is not the solution and such a ban will be a breach of citizens’ freedom of expression, a basic tenet of democracy,’’ the group stated. Elections in Ghana, the group noted, had largely been considered free and fair because of citizen and media participation. It pointed out that Ghana was a thriving democracy with a different context from Uganda, Niger and Turkey, who opted for social media blackouts in the past. A ban on social media is not a democratic practice, the group asserted. It is the contention of BloggingGhana and Penplusbytes that social media provides Ghanaians with a platform to participate in the monitoring of the election process in order to enhance transparency and national debate. “Instead of a ban, the Police Administration must do what other thriving democracies have done and get on social media platforms to inform and engage with citizens,’’ the group underscored. In Nigeria, the group said, the presence of the Nigerian Police, the armed forces, the central bank, statistical service, the Independent National Electoral Commission and several ministries on social media provided Nigerians, as well as other nationals and the media, with a vital tool to verify claims in real time. In 2012, Ghana’s Electoral Commission released the election results on Facebook before it was formally declared by the Electoral Commissioner, the statement added. 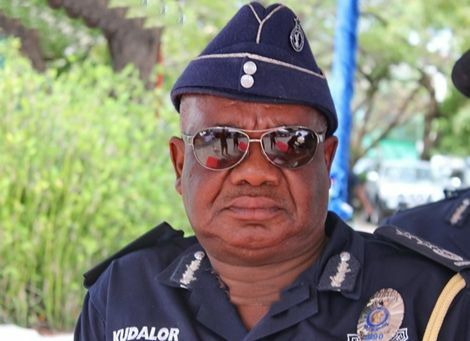 While BloggingGhana and Penplusbytes expressed appreciation to the IGP for his concerns about the abuse of social media, they are of the view that the presence of the Ghana Police Service on all the popular social media platforms to communicate, monitor and engage with the public would counter any false information. The statement stated that aside from promoting participatory democracy, it had been demonstrated that social media, with the right strategy, had been an important interface between the police and the public and a significant crime-fighting tool. The statement added that the major challenge for the police extracting intelligence from social media was the sheer volume of information, but they had the power to act on information found through social media when they have the right skills, tools and processes in place. This would enhance their work of monitoring, public outreach, investigations, improved community relationships and management of volatile situations. The platform also gives the police an opportunity to provide the media and Ghanaians with credible information. In fact, about 86 per cent of law enforcement departments globally report utilising social media in criminal investigations, according to the International Association of Chiefs of Police (IACP). To help prevent the abuse of social media, the group suggested that the police has to establish a conspicuous and engaging presence on all the platforms to deter would-be abusers. Also, the police has to release a statement informing the general public that they will be monitoring social media and that people are liable to prosecution for what they put out there.